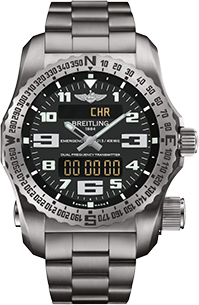 Matheu’s Fine Watches & Jewelry is an authorized retailer for Breitling watches. Matheu’s watch specialists will be happy to help you choose the model that is perfect for your chosen adventure and style. Matheu’s Fine Watches & Jewelry is Colorado’s trusted dealer of Breitling Watches. Available at our Breckenridge CO location, and we are conveniently located in Highlands Ranch CO for Breitling enthusiasts in the Denver metro area. Matheu’s is sure to have the perfect choice for adventure enthusiasts. With 60 years of producing watches capable of withstanding adventures by air, land or even sea, Breitling watches are designed for the most courageous individuals. 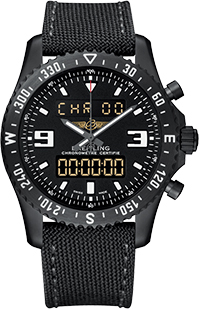 Breitling watches offer selections for land lovers, nautical navigators and aviators alike. For aviation enthusiasts, Breitling Navitimer collection is a trusted and time proven choice. In the 1930s, the brand began to earn its reputation as a partner to pilots, by incorporating onboard chronographs, intended for aircraft cockpits. These instruments are invaluable to assured piloting. Breitling enjoyed great success with the armed forces, including the Royal Air Force which used them to equip its famous World War II propeller-driven fighter planes. A favorite of pilots, the Navitimer 01, shows off a classic and polished appeal, while maintaining reliability and strength against even the harshest of conditions. 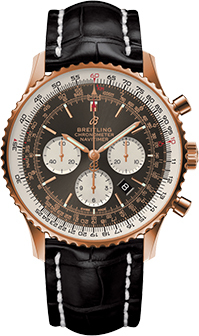 View Breitling’s Navitimer and Chronomat Collections. The “Instruments for Professionals” motto is as relevant today as ever. Breitling’s watches in the Professional Collection are equipped with features that make them perfect partners for every adventurer. Breitling is the chosen watch of some of the world’s most elite adventurers, including Man Vs. Wild star, Bear Grylls. Those who enjoy water adventures, will be happy to know that Breitling offers timepieces that withstand depths as far as 1650 feet. The brand’s leading model, the Chronomat 44, comes in four styles. Also available, is the Breitling Superocean line, which has recently been redesigned to appeal to the modern adventurer. Sleek or chic, the Superocean line has the perfect fit for male and female wanderers. The watch choice of pro divers, Breitling has several timepieces sure to withstand a dive to the depths. 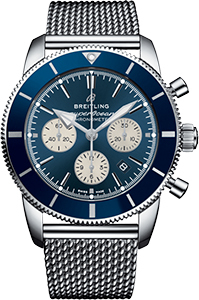 View Breitling’s Superocean and Transocean Collections. In addition to the land, air and sea specialty timepieces, Breitling also offers a watch designed for emergencies. The Breitling Emergency is the first ever wristwatch with a built in personal locator beacon. Matheu’s Fine Watches & Jewelry is a Breitling Factory Authorized Service Center. Rest easy, your treasured timepiece will be carefully and thoroughly serviced by our highly trained experts. Matheu’s Fine Watches & Jewelry Owner, Scott Matheu, has also been a Breitling timepiece Ambassador for over 20 years and has personally owned a Breitling timepiece, before becoming an authorized dealer. At Matheu’s Fine Watches & Jewelry, we stand behind the quality and integrity of every fine piece that is sold. Matheu’s is more than just a seller of Breitling watches, we are the authority on them; possessing unrivaled knowledge, pride and professionalism, to that of any other store in the Denver metro area. Please call (303) 471-8463 or submit an Online Request to learn more about the Breitling watches and our factory authorized Breitling service and repair center.